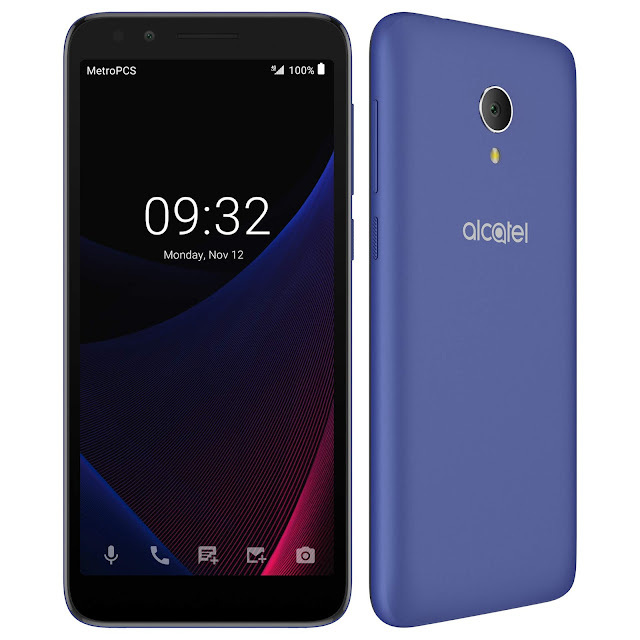 Featuring a premium design, the all-new Alcatel 1X Evolve from TCL Communication will arrive at Metro® by T-Mobile next week. Sporting an 18:9 full view display and fantastic features like high-resolution front and rear cameras, Android 8.1 Oreo operating system, and 4G LTE with 600MHz support for expanded LTE coverage, the Alcatel 1X Evolve is all the smartphone you need without having to spend more. Additionally, with an elegant soft suede fit and finish along with 2D Dragontrail glass, the Alcatel 1X Evolve has an attractive and sleek design that gives it a look and feel normally found on more expensive devices. Alcatel makes it easy for customers to take pictures with the built-in 8MP rear camera and 5MP front-facing camera and seamlessly share them with friends and family. The Alcatel 1X Evolve comes with a suite of intuitive photo editing tools called Social Mode, which will allow you to take, edit and share photos in a fun and more efficient way. With Social Square, you can review recently captured photos in one half of the screen, while the camera viewfinder remains active in the other half. This enables customers to review pictures as quickly as they take them, while making it possible to take new pictures at the same time. Instant Collage lets you mash up your best shots into pre-set arrangements. Each section of the collage is taken one-by-one using the camera viewfinder and shifts to the next shape as you progress through the collage. Picture Booth brings back those nostalgic photo moments from the fair or friends' parties by taking four pictures in a row, one shot per second. For more information on all of Alcatel's latest smartphone and other mobile devices, please visit www.alcatelmobile.com.